Our MSBI faculty experts who have 16 years of experience in MSBI have created 40 videos which goes indepth into SSIS, SSAS and SSRS. You can watch the videos from our videos section. You can contact us via our customer support chat which at the right side of the website. In case he is offline drop us a message we will get in touch with you. We provide two days faculty based offline/classroom training to candidate who want to pursue full fledge carrier in Business Intelligence. We offer MSBI(Microsoft business intelligence) training which covers SSIS(SQL Server Integration Services), SSAS(SQL Server Analysis Services) and SSRS(SQL Server Reporting Services). 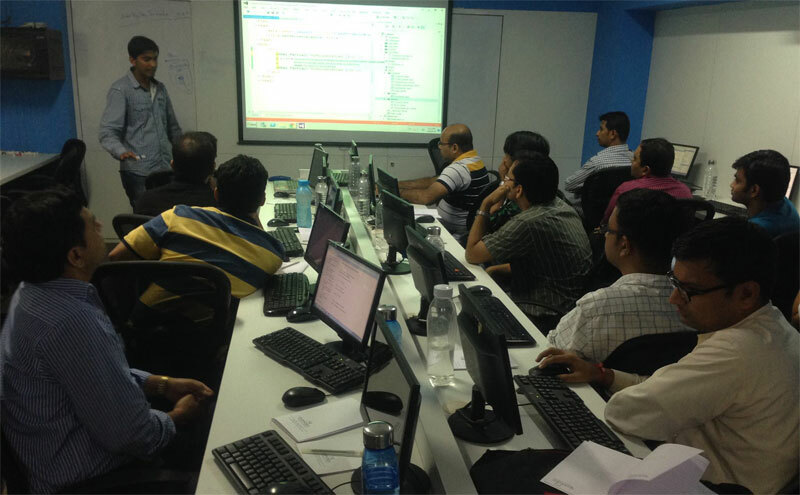 These training are conducted on weekends(Saturday and Sunday) so that working professional do not have to worry about taking holidays.We have kept batch size small so that every candidate gets personal attention during training.Trainings are conducted by MSBI experts who are working with real MSBI projects. Tea and lunch break will be taken together by candidate and faculty so that they get related to eachother. With informal relation and discussion carried between faculty and student makes bonding stronger and learning easy. 2 days time which is 16+ hrs will be divided to give enough knowledge and practical demo on SSIS and SSAS. Important SQL Server part required for MSBI will also be covered. The course starts at sharp 10 AM and ends in late evening 6 PM. If interested do give us a call on 022-66752917. Finally creating SSRS report with customization view of reports as per syllabus. Doubts and queries pertaining to topic will be cleared so that learning become more effective. After 2 days training is finished we are not over video materials will be for future study reference and not only that for all doubt related to training support will be given by us. Taken by senior faculty Mr. ShivPrasad Koirala who is corporate tra-iner and Author in .NET Tec-hnol-ogy. 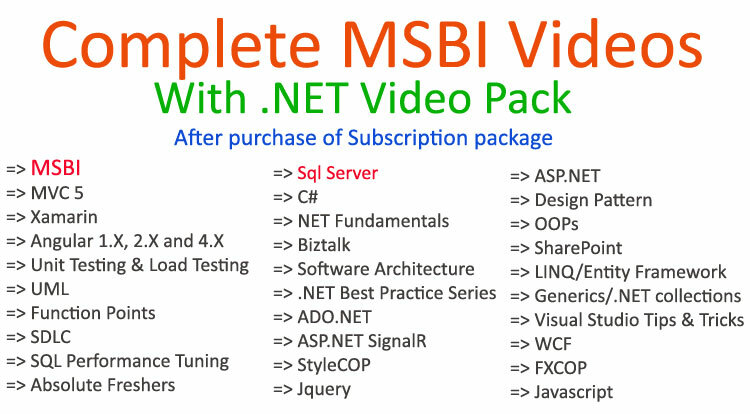 No PPT showcase, complete step by step Hands-on MSBI training. Personal attention given to each candidate till topic is clear. Tea and lunch will be provided. You have to just come with your laptop with VS 2013 � SSDT & SQL Server 2012/2014 installed.